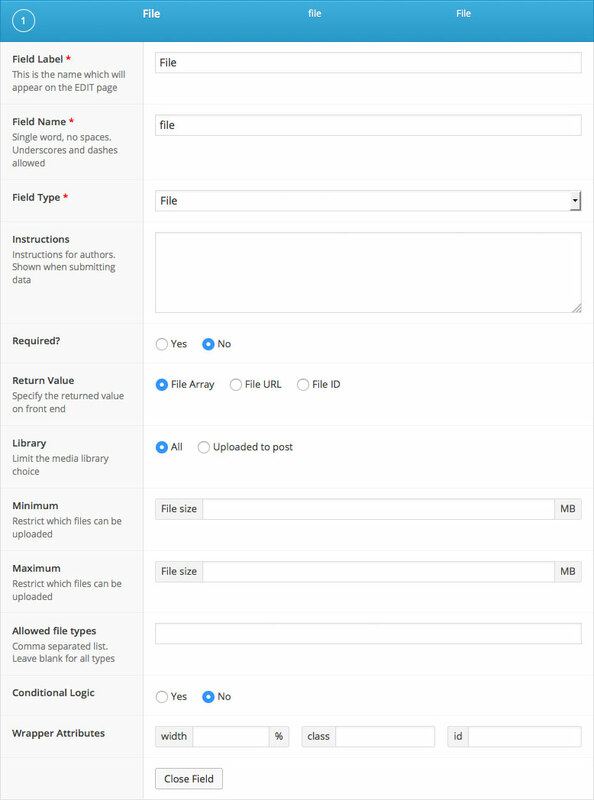 The file field allows a file to be uploaded and selected. 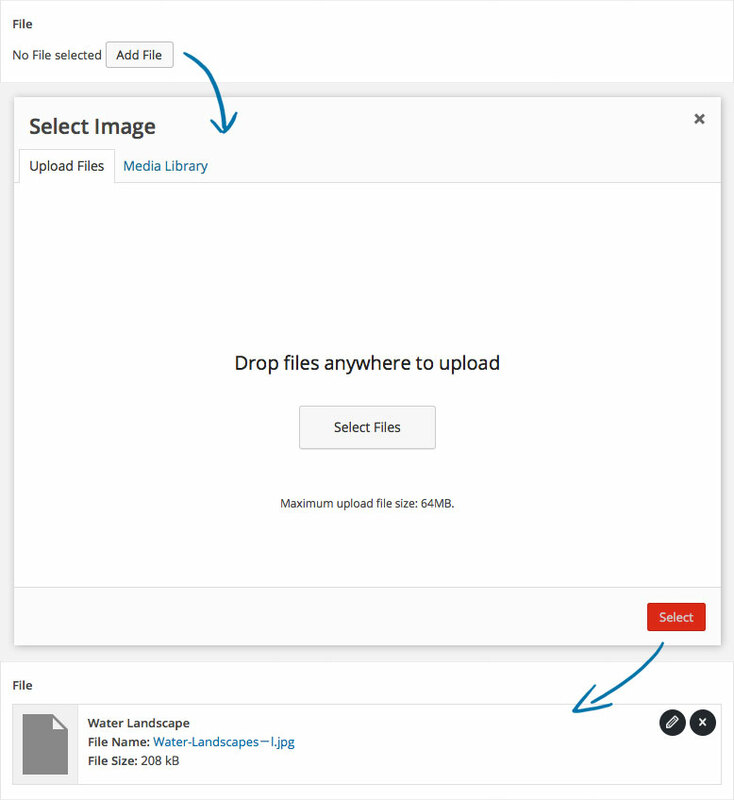 This field makes use of the native WP media popup to handle the upload and selection process. The file field will return either an array, a string or an int value depending on the return value set. Below are some examples of how you can use this data. Please note that all following examples use an file field called “file”, and if you are working with a sub field, remember to replace any get_field and the_field functions with the relative get_sub_field and the_sub_field functions. This example shows how to display the selected file when using the array return type. This return type allows us to easily access data such as url and filename. This example shows how to display a custom link when using the object return type. This return type allows us to easily access data such as url, title, type and more. To see the full data available, please debug the $file variable. This example shows how to display the selected file when using the ID return type. This return type allows us to efficiently load only the necessary data. This example shows how to display the selected file when using the URL return type. This return type allows us to efficiently display a basic link but prevents us from loading any extra data about the file.